Learn about your leadership style and receive practical advice to help you reach your leadership potential. Ensure your culture is linked to high performance. The tool is completed by groups of employees, followed by a report to the management group. The fee includes an interactive follow-up workshop with senior leaders to review results and develop and action plan to improve the organizational culture. We all aspire to be the best leaders and reach our professional goals so that we can feel deeply satisfied AT WORK. Leadership coaching will move you forward and help you awaken your passion, purpose and potential. It is recommended that a leadership assessment is completed before coaching takes place, but it is not a requirement. 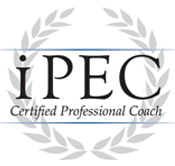 The 12-hour Coaching Program can be completed in person, or using technology. Gain confidence, improve your presence and practice your interview skills with a series of tailored behaviour-based questions. Is there a project you know you want to undertake to move your agency forward, but you do not have the time or resources to get it done? Do you need some expert advice about how to effectively position your agency during changing times? Building your political acuity will help you and your team to influence decisions, achieve organizational objectives and understand the changing political landscape. Begin with a leadership assessment to examine your own leadership style. In the workshop, you will learn about the various types of leadership, and develop your own action plan to move toward a humanistic, encouraging style which gets the best results from your team. In our jobs, we must deal with many contentious and stressful situations, and this workshop will give you some helpful tools to empower you to navigate these tensions in a more positive and productive way. Travel, Meal and Accommodations costs will be in addition to the workshop fee. We can provide supports to staff who are leaving your organization and need help transitioning toward a new role/career. Do you have a temporary leadership gap in your organization? Through our professional networks/contacts, we can help find a “best fit”. Would your organization’s Board of Directors and Senior Staff benefit from a workshop-style presentation designed to improve your governance in changing times? This session includes tips to manage risk and create innovative new programs. It also includes discussion about effective advocacy and ways to nurture positive relationships with key stakeholders. Questions will be posed for Board discussion after each segment. This interactive style session will keep everyone engaged and will help you develop an action plan for improvement.